Having had a successful career in the Entertainment Industry, Artist Management, Production and Touring Industry with Show World Corporation and covering all aspects Australia-wide, Roland Ott decided to combine entertainment with safe party transport. It evolved from there with initially 1 Party Bus in 1994 which became a fleet of some 20 vehicles and the transport became parties on wheels with more atmosphere created by him on-board than in many of the venues they were calling on. 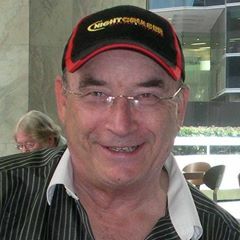 Now referred to in many parts of Australia as the “Famous Party Bus Tours”, he did drive them and hosted onboard for many years which allowed him to build the Party Tour formats to the famous status they are today. He continued on while developing the largest range of Party Bus and Leisure Tours in Australia today and the rest is ongoing history. The latest exciting developments are exclusive and are now the famous Leisure and Entertainment Tours, which are a result of the skills he acquired during his Executive Production career days with Artists, Bands, Touring and Shows Management at Show World Corporation. His Nightcruiser Booking Crews still refer their clients to him when they seek advice about their plans for a Party Tour. Listed below is a past activity profile of Roland Ott, creator and owner of the Nightcruiser Party Bus Tour System.